Our Lodril and experienced personnel were key in completing this 13 month project which had incredibly difficult access. 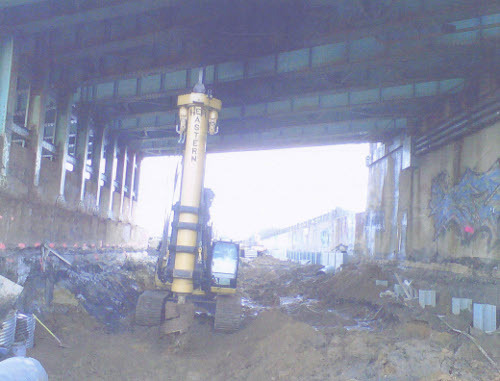 The Lodril’s reach allowed us to work in tight space and its design allowed us to drill underneath low clearance bridges. 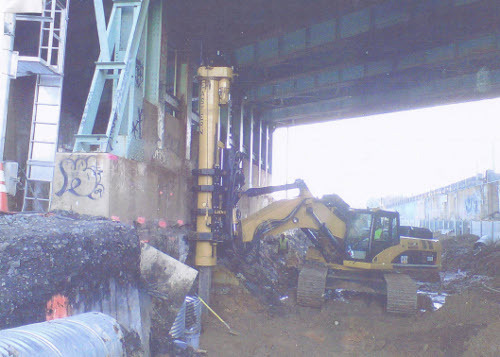 The rig’s power enabled us to drill through rock and man-made obstructions that were encountered. Train traffic was a daily obstacle and safety hazard that we persevered through. The entire project had close to 250 holes split amongst several phases.